While Santa Barbara and other California municipalities figure out how to regulate the THC side of the recreational cannabis business, the nationwide market for products infused with CBD — or cannabidiol, a cannabinoid that science is showing to be beneficial in myriad ways, without getting you high — is growing like crazy. There are teas, treats, and vapor cartridges loaded with CBD, but one of the strongest segments is skincare, as the oils infuse well into lotions, salves, and so forth. 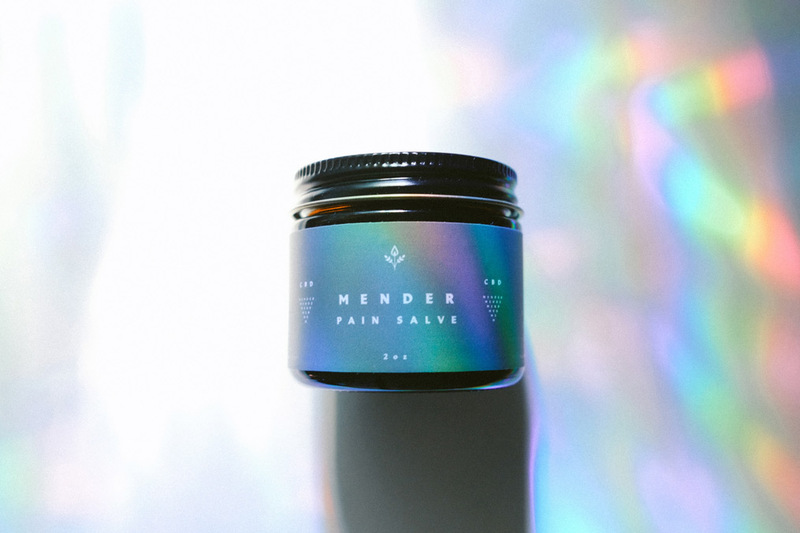 Mender is one Central Coast company exploring that realm. It was recently launched in San Luis Obispo by April Worley, a former wine branding expert who is using what she learned in that industry to raise the profile of cannabis. How did you come to work on CBD products? When my son was 3, I started grad school at Cal Poly, where I studied political science and earned a master’s degree. But upon graduation, I realized after a series of fruitless job interviews that bureaucratic structures were not for me — this was not my tribe, I could feel it, and they could, too. So naturally, I freaked out. And soon I began to cast a larger net in terms of how I could leverage my poli-sci background into a variety of jobs. That is how I landed at Proof, an iconic little wine marketing and design shop in San Luis Obispo that was behind nearly every cult wine brand at Trader Joe’s at the time as well as private labels like Force of Nature. At that time, a handful of wine brands wanted to democratize wine at large — to cast aside the confines of elitist connoisseurship to reveal a wine culture of and for the people. A lot of that was an organic response to the rapidly popularized Central Coast AVAs [American Viticultural Areas] who knew they had incredible juice but also knew they couldn’t compete with Napa on Napa’s terms — and most didn’t want to. I was quickly immersed in a world where a beautiful, ancient, and natural product was undergoing a major cultural shift, and I became a keen observer of this phenomenon; developing an understanding of historical context, analyzing audience insights, dissecting narratives, studying brand and communication strategies, breaking the rules with design. It was also at Proof where I met Ariel Rosso and Jesse Mireles, the brilliant creative team behind Mender. That said, when Prop. 64 [the California Marijuana Legalization Initiative] passed in California, I immediately knew that cannabis was facing a similar cultural shift as wine, only in diametrically opposing ways. Wine needed to be brought down to earth, and cannabis needed to elevate above a stoner-culture stigma that represents only a small portion of actual cannabis enthusiasts. So I approached Ariel and Jesse and, over Thai food, we decided to launch a cannabis brand that was all about the healing aspects of cannabis — how cannabis can be used to calm, create, and dream. As regulations rolled out and I watched municipalities freeze licensing, create cost-prohibitive taxing schemes, and continually espouse uninformed rhetoric around cannabis, I saw that trends were pointing toward two parallel outcomes: a continually thriving black market and a commerce space where only big money could play. But one interesting thing kept popping up in my research: CBD and the clinical studies flooding out of Israel and Europe. They are discovering ground-breaking insights about our endocannabinoid system, which is responsible for regulating a myriad of biological functions ranging from pain, appetite, mood, reproduction, and more, and the benefits of CBD topicals, tinctures, and edibles. I was blown away! I just kept digging and digging and reading published papers and knew that this is where Mender needed to be. Shortly thereafter, I met a trained chemist who was also interested in CBD, and we began to formulate a line of products for Mender. 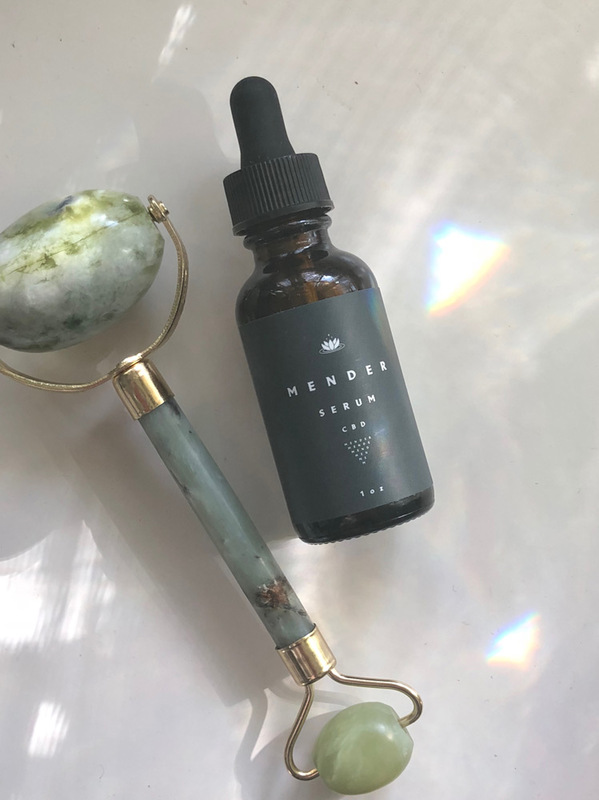 So between offering a collection of unisex, all-natural CBD products meant for daily use that rocks elegant design, we are elevating the cultural idea of hemp as well as providing the market with high-quality, small-batch products. How are they made? We design and formulate our products at a space in San Luis Obispo County using full-spectrum, non-GMO, pesticide-free CBD oil derived from hemp that we purchase from a trusted American manufacturer that provides third-party potency and toxicology testing. In our oil-based products, we source olive oil from an organic farmer in the Templeton Gap AVA, and the delicate organic, grass-fed beef tallow that we use in our body butter comes from a woman cattle farmer in the Midwest. We use only high-quality organic essential oils. We use these products on ourselves and families — so we literally have skin in the game.